EARLY BIRD CLOSES Friday 31st August 2018. Would you like your name on the public delegate list? We are delighted to welcome international keynote speaker, Leda Scearce, CCC-SLP, MM, MS. Associate Professor Jan Baker is a speech pathologist and family therapist with post-graduate qualifications in psychotherapy. 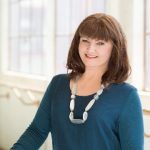 She studied classical singing through the Elder Conservatorium for over 10 years and has enjoyed performing as soloist in the mezzo soprano repertoire of recital and oratorio. Jan has specialized in the area of voice and counselling for over 40 years and she is a Fellow of Speech Pathology Australia (SPA). 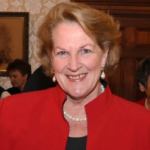 Jan was one of a small group involved in establishing the Australian Voice Association (1991) and she has been the president on two occasions. She is a member of the Scientific Committee -Voice for the International Association of Logopedics and Phoniatrics; a member of the Fellowships Committee for SPA; a member of Trust Fund and selection committee for scholarship offered by the International Federation of University Women in SA; and has been appointed as a Medical Expert for the Expert Review Panel of the Lifetime Support Authority by the Minister of Health. Jan was the inaugural lecturer for Bachelor of Applied Science in Speech Pathology at Sturt College, now Flinders University, and she has taught at undergraduate and post-graduate levels in Australia and overseas. After completing her PhD in 2006, Jan was appointed as Associate Professor and co-ordinator for the Graduate Entry Master of Speech Pathology at Flinders University from 2007-2011. 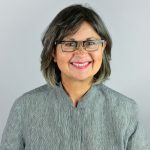 Jan has presented at many national and international conferences seeking to integrate and share her knowledge in the practices of speech pathology, psychotherapy, family therapy and professional voice. Jan’s clinical work, research interests and publications have been focused on the etiology and management of functional and psychogenic voice disorders, problems associated with the professional singing voice, and the psychological processes involved in the therapeutic relationship. Jan continues to teach nationally and internationally, and to supervise research in the areas of voice and counselling. In her private practice she specialises in the clinical management of psychogenic voice disorders and working with singers. She now offers services as Consultant in Voice and Supervision of Professional Practice to speech pathologists and mental health professionals throughout Australia and from overseas. She will be launching her book, Psychosocial Perspectives on the Management of Voice Disorders (Compton Publishing) in 2016. Cecilia Pemberton is a speech pathologist in her private practice, Voice Care Australia and at the Voice Assessment Centre at St Vincent’s Clinic, Sydney. In 1991, she co-founded the Australian Voice Association after the Inaugural Australian Voice Symposium in Adelaide. 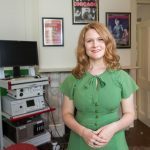 Her research has covered the normative data for endoscopic examination of the larynx, changes in speaking fundamental frequency in women’s voice with age and intergenerational and most recently the effectiveness of prevention and early intervention programmes for voice problems in teachers. Cecilia is co-author of Voice Care for Teachers DVD. Alessandra (Alex) Giannini is a Speech Pathologist with over 30 years experience in paediatrics. She works as a senior clinician at the Royal Children’s Hospital and has a special interest in throat conditions which affect the voice and breathing. After completing her degree in Speech Pathology in Melbourne, Alex continued postgraduate training in child communication, family therapy, research, clinical teaching and Bioethics. Her breadth of training, and her long career at the Royal Children’s Hospital working closely with physicians and surgeons in the areas of Ear Nose and Throat (ENT), Respiratory and Allergy, gives her extensive knowledge of the causes, maintaining factors and treatment of voice and breathing disorders in children and adolescents. Her treatment approach reflects this broad understanding of health and development and she is passionate about achieving the best outcomes in partnership with families. Alex is a regular presenter at professional conferences and is a guest lecturer at University of Melbourne. She has won RCH scholarships and research grants to advance the knowledge of children’s voice disorders. She is an ENT trained endoscopist for vocal tract imaging and is a published author in this area. When not at work Alex enjoys being with her family, walking, art and music. She speaks Italian and supports Italian culture. Nicole is currently undertaking her PhD at Monash University within the Department of Surgery, researching ‘The impact of voice load and voice therapy on benign vocal fold lesions’. Nicole has been working for 14 years as a speech pathologist after graduating from La Trobe University, and has an international speech pathology perspective on a range of speech, language and swallowing disorders having worked in Australia, England (2007-2008) and USA (2014-2015). She has worked primarily in the acute hospital setting and in laryngology. Whilst in the USA, she gained her ASHA credentials and license to practice in New York State where she spent two years working at Montefiore Medical Center in the Bronx. Nicole has also worked as a clinical educator and lecturer for speech pathology students, and other allied health and education students across several universities. In addition she enjoys singing across a range of genres in both solo and choral contexts, completing her Bachelor of Music Performance (Classical Voice) in 2011. Nicole works as a senior Speech Pathologist at Voice Medicine Australia, in the laryngology clinic at the Royal Melbourne Hospital and as an associate at the Melbourne Voice Analysis Centre. Rachael Cunningham is a vocal massage therapist, professional singer and voice teacher. 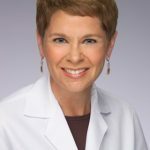 She specializes in remedial massage and myofascial techniques addressing postural alignment, breath release, mobility of the hyoid and larynx and jaw dysfunction and pain. She has a Bachelor of Music in Performance Voice from Canterbury University NZ, Diploma of Opera from the Sydney Conservatorium and has sung in the Opera Australia chorus for the past 20 years in over 80 different operas. Rachael trained for a Diploma in Remedial Massage graduating in 2010 in Sydney and has since specialized in Myofascial Techniques that target pain and tension around the neck, jaw and head. Amongst others Rachael has trained with Walt Fritz from America, Patricia Farnsworth (Adelaide) and Chris O’Brien (Sydney). Next year she is to further her Vocal Massage studies with Jacob Liebermann in England. Rachael is passionate about helping singers achieve their best possible sound with freedom and ease in the body. She also now works with clients with Voice and Swallowing disorders in conjunction and under the guidance of ENT’s and Speech pathologists in Sydney. 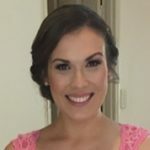 Chloe Walton is a speech pathologist and is currently finishing her PhD at Australian Catholic University (ACU) titled Unilateral Vocal Fold Paralysis: Voice Therapy and Voice Outcomes. 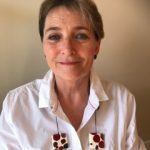 She has over eight years of clinical experience including researching the treatment dosage in functional dysphonia, lecturing experience at ACU and Griffith University in voice disorders and contributed to the publication of several articles, a book chapter and had abstracts accepted at several conferences. Chloe is fortunate to have received the AVA Student Encouragement Award for 2018 for her academic contributions to voice research. Leda will facilitate a half-day practical workshop exploring contributing factors in the development of voice problems which may need to be addressed in the treatment plan for singing voice rehabilitation. Each element will be described and explored through case studies, group discussion and (where possible) hands-on demonstration with volunteer singers/patients. *The program for this AVA National Meeting is correct at the time of publication. 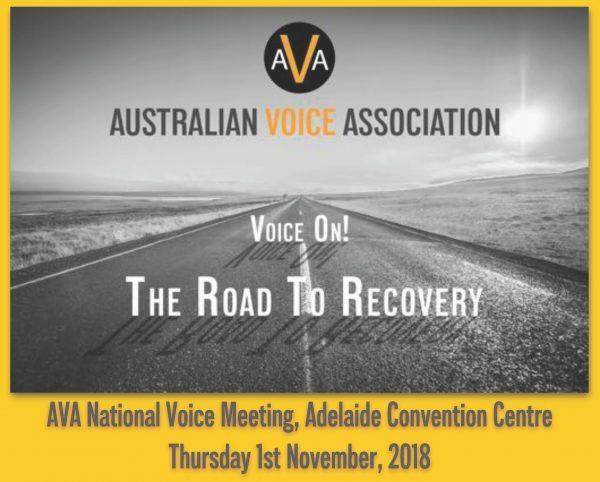 However, the Australian Voice Association (AVA) reserves the right to change dates/times, the program and speakers without notice as a result of circumstances beyond its control. This event is for speech pathologists, voice teachers, physiotherapists and, Ear, Nose and Throat Surgeons. PLEASE NOTE, ACCOMMODATION AT SPECIAL RATES IS NOW FULLY BOOKED OUT. Delegates are encouraged to make their own accommodation arrangements. Written notice of cancellation must be provided no later than 1st October 2018 to receive a refund. However, all cancellations will incur a $50 administrative fee.